MEXICO CITY (Reuters) - A stream of U.S.-bound Central American migrant caravans risks clouding the rapprochement between Mexico's next leader and U.S. President Donald Trump, who has railed against illegal migration to energise his electoral base. 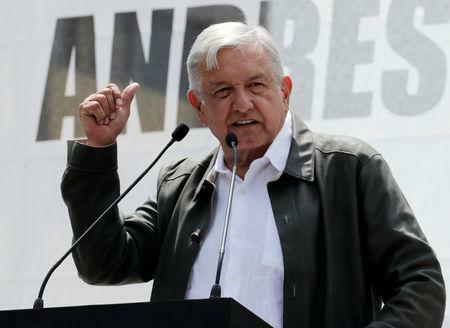 Mexican President-elect Andres Manuel Lopez Obrador, a combative leftist who takes office in December, has signalled he hopes to repair bilateral ties damaged by Trump's criticism of Mexico for failing to stop migration and his demands for a border wall. From opposite sides of the political spectrum, he and Trump have so far defied fears they could clash, with both helping to find common ground for a new North American trade deal. But a spate of Central American migrant caravans pushing into Mexico in recent weeks revived tensions in the run-up to U.S. congressional elections on Tuesday. Trump has threatened to close the U.S-Mexico border if the migrants are not stopped. "This is one of the potential flashpoints that could end the bromance between Lopez Obrador and Trump," Arturo Sarukhan, a former Mexican ambassador to the United States, told Reuters. Trump's 2016 election win sent relations between the two neighbours to their lowest ebb in years. During the campaign, he repeatedly vowed to make Mexico pay for a border wall to keep out migrants, and accused the country of sending rapists and drug runners north. Tensions over migration spilled over into economic affairs. Trump tried to use border security to extract concessions in the revamp of the North American Free Trade Agreement (NAFTA), which he threatened to scrap before the United States, Mexico and Canada agreed a new deal on Sept. 30. Mexico sends 80 percent of its exports to the United States and the NAFTA renegotiation rattled Mexico's financial markets and disrupted investment. Since a convoy of Hondurans left the city of San Pedro Sula on Oct. 13, several thousand Central Americans have crossed into Mexico. Trump has said he will send troops to the U.S. southern border to stop what he calls an "invasion." Lopez Obrador, by contrast, has been offering to help his "brother migrants" with visas and employment. He wants to persuade Trump to contribute to a plan to promote development in Central America and Mexico's poorer south. However, Sarukhan said Trump would almost certainly continue to campaign divisively on border security and migration as the race for the 2020 U.S. presidential election heats up. "It's hard for me to see, given the current dynamics in the United States, how Lopez Obrador is going to either ensure that this doesn't become a flashpoint or convince Trump to spend significant political, diplomatic and financial capital in holistic development in Central America," he said. Angered by the caravans, Trump has threatened to cut aid to Central America - the very opposite of what the region needs, said Hector Vasconcelos, a lawmaker for Lopez Obrador's MORENA party, and head of the Senate foreign relations committee. "We need big economic development programs in Guatemala, Honduras and El Salvador if we really want to reduce migration from those countries," Vasconcelos said. Most of the migrants say they are fleeing gang violence and poverty. But Trump suggested, without providing proof, the caravans could be hiding "Middle Eastern" terrorists. Asked how a Lopez Obrador administration would seek to bridge the differences over migration, incoming foreign minister Marcelo Ebrard told Reuters on Oct. 22 in Canada that, once in office, it hoped to start persuading the United States and others of the benefits of investing in Central America. However, he added: "It's not very easy." Lopez Obrador has adopted a conciliatory tone towards Trump since winning Mexico's July election, stressing his desire for good relations. Privately though, members of his transition team are skeptical whether the goodwill will last as the 2020 U.S. presidential election unfolds. If Trump returns to the rhetoric he deployed against Mexico during his first election campaign, it could encourage the fiercely patriotic Lopez Obrador to hit back. 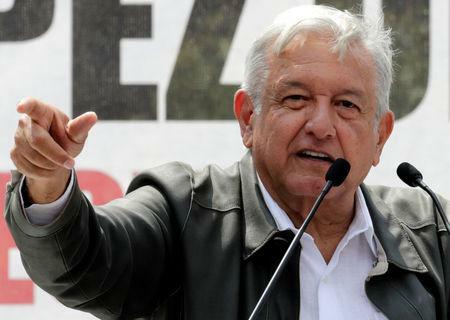 Just weeks after Trump took office in 2017, Lopez Obrador went to the United States to address Mexican-American voters, rounding on the new U.S. president in a speech in Los Angeles. "These astute but irresponsible neo-fascist rulers want to build walls to turn the United States into an enormous ghetto, and put Mexicans in general, and our migrant compatriots in particular, on the same level as the Jews stigmatized and unjustly persecuted in the age of Hitler," Lopez Obrador said.